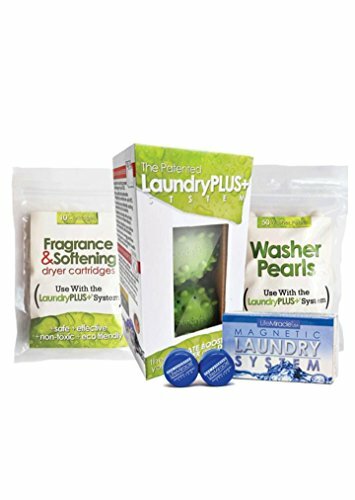 LaundryPLUS+ System (Full Package: LaundryPLUS+ x1 + Washer Pearls x1 + Dry Cartridge x 1 + MLS x 1) Revolutionary laundry technology for Both Washer & Dryer that Cleans and Brightens Clothes by Water Liberty at Blog Free Here. MPN: LWL-LPS03. Hurry! Limited time offer. Offer valid only while supplies last. Maximize your washing and drying and eliminate chemicals completely. Pair the Magnetic Laundry System and LaundryPLUS+ system together. About Magnetic Laundry System - POWERFUL: Specially calibrated magnetic force to help alter the basic nature of water and increase its natural solvency. The MLS assists the water to pull out the dirt, grease and odors from the fibers of your clothes without harmful chemicals that break down the fibers of your clothing. EASY TO USE: Works in any kind of washing machine! Simply place the MLS units and your clothes in your washing machine and turn it on. For front loaders, put the MLS units in pants pockets. Though they are magnetic, they do not have to stick to the drum to work, and will work in front and top loading machines. Remember, the MLS replaces laundry detergent only. The use of pre-wash spot-remover sprays, bleaches or additives such as fabric softeners can be used with the MLS. If you have any questions about this product by Water Liberty, contact us by completing and submitting the form below. If you are looking for a specif part number, please include it with your message. By by Batten Industries Inc.